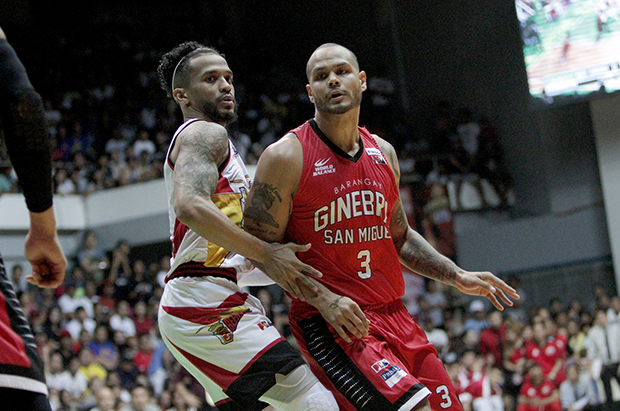 MANILA, Philippines - After the classic Game 2 PBA Finals match in Lucena City, Barangay Ginebra San Miguel and San Miguel Beermen are now back in the metro for the crucial Game 3 tonight, March 1 at the Smart Araneta Coliseum, to determine who will now lead the best-of-seven series. Following Ginebra's epic overtime win to level the series, the Gin Kings look to ride the momentum to challenge the Beermen even further. Witness the live action in the 2017 PBA Philippine Cup Finals with Game 3 tipoff is at 7:00 p.m. It will be aired live by TV5. Note: The livestream video above will also served for full video replay of the match tonight. Who will emerge as victorious tonight? Can SMB bounce back and retake control, or will Ginebra capitalize on their momentum to notch a 2-1 series lead. Tell us in the comment section below.